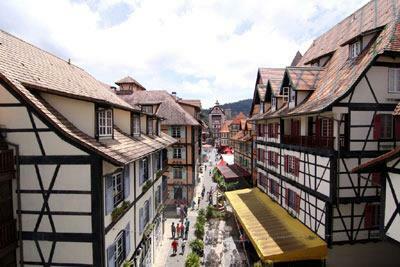 Bukit Tinggi is one of the most visited small towns in Bentong, Pahang for tourist purposes. Although a small town this town is famous for its range of restaurants inviting visitors coming from Genting Highlands. Since the town is on the hill, it remains fairly cool throughout the year and is thus coveted as a tourist destination. Some of the attractions to see here are: Japanese Village, Animal Park, Horse Trails, Rabbit Farm and Botanic Garden. Since the town is quite small, you can visit all of these attractions in a day only. How popular is Bukit Tinggi? People normally club together Botanical Garden and Japanese Garden Bukit Tinggi Parking while planning their visit to Bukit Tinggi.